When your mission is to find a thoughtful gift, notonthehighstreet.com is your go-to online store. It specialises in personalised, quirky gifts that you can’t find anywhere else. 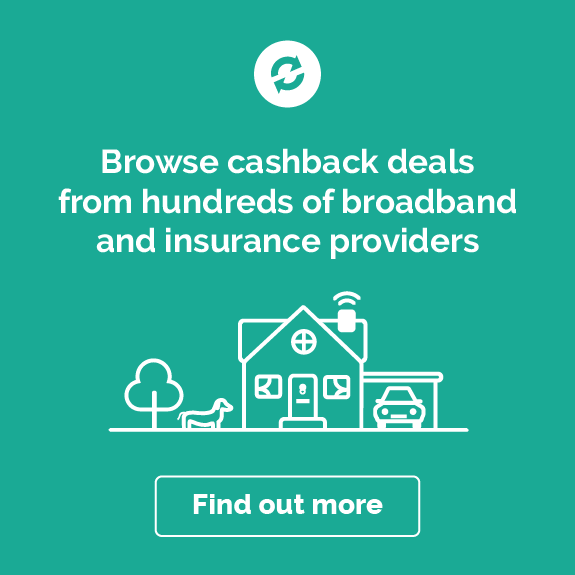 And now you can earn cashback on your purchases too – just click one of the cashback links on this page to get started! Make this Easter one to remember, courtesy of Notonthehighstreet. Put a smile on the kids’ faces with unique and funky Easter eggs that are made by independent retailers — not the big brands. For you and your friends, browse a range of adult Easter eggs, some of which even contain a bit of booze. It’s a controversial statement, but Easter isn’t all about chocolate. Let Notonthehighstreet help you get into the Easter spirit, with their selection of decorations, cute outfits and presents. 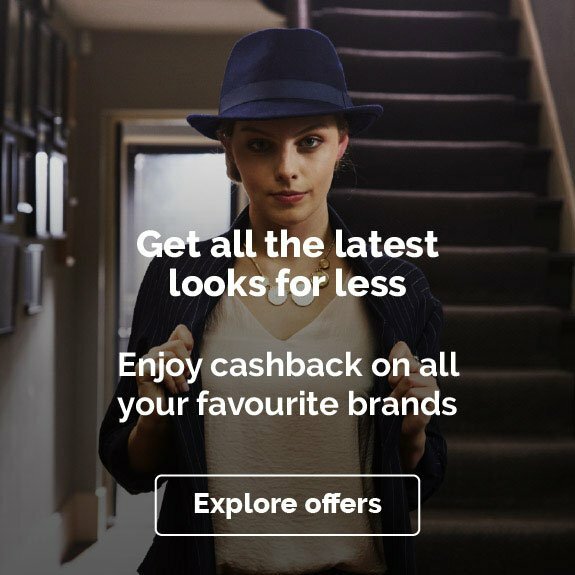 Be sure to follow the links at the top of this page when shopping your Easter goodies at Notonthehighstreet, in order for you to earn cashback on your purchases. When it comes to buying your Easter eggs this year, go for something a little different with Notonthehighstreet. Keep the kids entertained with a ‘make your own Easter egg’ set. Fun for all the family, this product allows you and the kids to get creative. Using delicious Belgian chocolate, this bit of homecraft inspires the young ones by letting them melt down choc and then reforming it into their own egg — after all, everything tastes better when it’s homemade. Plus, with a whopping 12-month shelf life, you can save this product for next year if you don’t get around to it this Easter. It’s not all about the kids, however. Let the adults have some fun this long weekend with the London Chocolate Company’s ‘gin and tonic Easter egg gift box.’ New and exclusive to Notonthehighstreet, this deluxe chocolate box is filled with eggs that have a dark chocolate shell, inside of which is a filling of white chocolate ganache that’s blended with London Gin. They’re beautifully handcrafted and provide a deliciously naughty treat for when the young ones have gone to bed. Go all out this year with Notonthehighstreet’s charming selection of decorations and presents. Buy a gift someone will really love with a ‘personalised pair of ceramic egg cups.’ A great staple for any kitchen cupboard, you can adapt these homely ceramic cups with your recipient’s name. For a decorative piece that can be used all year round, look no further than the ‘spring flowers lantern block’. This beautiful, yet subtle, lantern holder is lovingly made by hand by the talented people at Hannah Madden, and will help get your home ready for the summer months. 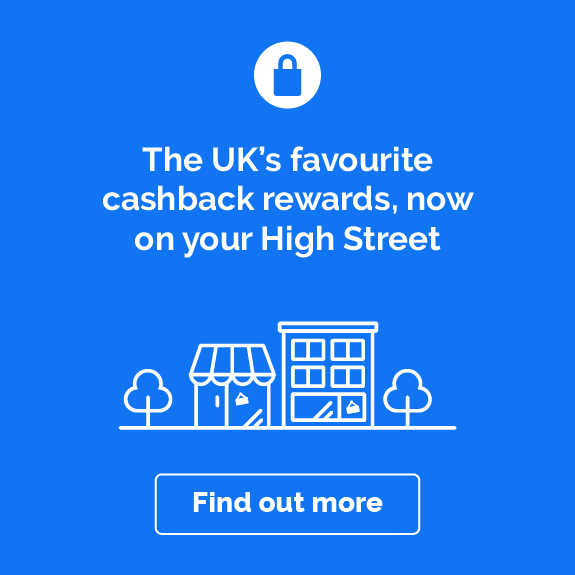 When shopping for your Easter eggs, decorations and presents and more, be sure to follow the links from this page the Notonthehighstreet website, so you can earn cashback on your purchases. If you’re looking for a really unique gift that the newlyweds will love then head straight to Notonthehighstreet’s website. You can browse tons of wedding presents, such as gifts for the home, personalised gifts, food and drink gifts plus fun experiences such swing dance classes and walking tours. Shop through the links on this page for your present and you can earn cashback on your Notonthehighstreet wedding gift. At Notonthehighstreet, you can find a fantastic selection of items for the home that make wonderful wedding presents. Pick up personalised wedding gifts, such as a cheese board and knife set, which can be engraved with their names and their wedding date. Or, why not go for a cute porcelain “Hubby” and “Wifey” mug set? This gift would be lovely for the couple to use for their first breakfast as a married couple! Or why not go for some new bed sheets? There’s plenty of gorgeous bedding to choose from to give to the newlyweds, so they can have a really special duvet set for their home. Shop for sumptuous bed linen, whitewashed duvet covers or dusty rose coloured linen and pure cotton bedspreads. They’d make really luxurious and special gift that they’re bound to treasure. If the couple are big foodies then you want to head straight to the food and drink section on Notonthehighstreet. Here, you can shop for personalised bottles of prosecco, cheese-making kits, winemaking kits and much more. If they’re big coffee fans, then why not sign them up for a monthly coffee delivery subscription? Choose from 3, 6, 9 or 12-month subscriptions and they'll have unique and unusual coffee delivered directly to their door each month! It’s a fantastic gift idea for a couple that will no doubt look forward to their morning coffee together every day! If you’d prefer to give the happy couple a different kind of gift, then why not check out Notonthehighstreet’s experiences section. Here you can find everything from blues guitar lessons, gin making and distillery tours, history of London tours and much more. So whether they have a passion for history, food, music or wine, you can find a wonderful wedding gift that they’ll never forget. Remember to shop via the links on this page so you can earn cashback on your present! If you’re planning a wedding then you can pick up wedding invitations, save the date cards, wedding planners and guest books from Notonthehighstreet. Find special, one of a kind and unusual wedding planners, guest books and invitations from not your average high street stores. Plus, you can ease the cost with some cashback that you can earn when you shop through Quidco. Check out some of the wonderful and unique wedding invitation designs that Notonthehighstreet has. Whether you’re after a rustic, cute or a quirky-style invite, you can find it all on Notonthehighstreet. Are you both fans of travelling? Then why not go for the quirky passport-themed wedding invitations? They’re so different to usual wedding invitations that your guests won’t forget them! If you’re a big plant lover then you can also browse tons of tropical plant and botanical style cards, from palm leaf prints to colourful floral designs. And if you’re planning on a big festival style wedding, you can buy really fun festival ticket style wedding invites that are perfect for those rock and roll brides! Let your guests write messages of love, best wishes and more with a guest book. At Notonthehighstreet, you can browse tons of different guest books from unique sellers across the globe. If you’re looking for something trendy, then why not go for a rose gold foil wedding guest book? It’s available for you to personalise with your names on the front, along with the date of your wedding day. Or perhaps you’re looking for something that's a bit more traditional. Go for a wedding guest book that's handmade with recycled ivory leather and decorated with ivory ribbon, which gives it a classic wedding look. With this guest book, you can add your own photos inside with space for messages from guests, so it’s a really unique item that will be fantastic to look back at in the future. Shop for all your Notonthehighstreet wedding bits through the links on this page so you can earn cashback. Back in the 2000s, Not On The High Street founders Sophie Cornish and Holly Tucker got around a small kitchen table and came up with a big idea. They decided to bring together the most unique, stylish and never-before-seen products they could find – literally, the stuff you can't find on the high street – and sell them in one handy place. As keen independent shoppers themselves, they were frustrated at how hard it was to find products from small businesses online, and wanted to find a way to give customers more choice by connecting them with under-represented indie producers and designers. The good news is that it worked. Not On The High Street is now home to more than 5,000 of the UK’s best small creative businesses (and counting). It sells thoughtful gifts, original homeware and more. From garden ornaments, artisan food, cushions and clothes to lingerie, earrings and experience days, Not On The High Street has a huge range of beautifully made unique products, many of which can be personalised. The Danish word ‘hygge’ might be a relatively new arrival on these shores, but we've always loved doing the thing it refers to: making our living spaces cosy, charming and special. At Not On The High Street, you'll discover quirky wall art by new artists, unusual photo frames for your own best-loved snaps, and cushions and ornaments that'll add splashes of colour and originality to your living room. It’s the little touches that make a house a home, and notonthehighstreet.com is big on them – from home décor and atmospheric lighting right down to that cute retro mug in your kitchen. There’s no occasion more special than the arrival of a new baby. And while most retailers have sections for babies and children, Not On The High Street’s focus on unique products makes shopping for those little bundles of joy that much more satisfying. Start by shopping for gorgeous, classy baby shower gifts for mums-to-be. Once baby arrives, choose and personalise a huge range of new baby gifts, or find a special keepsake for naming ceremonies and christenings. And as that precious little one gets progressively bigger, you can still turn to Not On The High Street for first birthday baby gifts, and toys, games and clothes for the toddler years. From gorgeous engagement rings to personalised tokens of friendship, notonthehighstreet.com has a wonderful selection of interesting, unusual and extra special jewellery. You’ll find perfect gifts for any occasion, loved one or style, including statement earrings, men’s and women’s bracelets, birthstone necklaces, quirky cufflinks, watches and jewellery boxes. Shop for on-trend pieces and classic designs; simple gold bands and diamond-encrusted showstoppers. The choice and variety is huge. You'll also find a range of personalised and engraved jewellery for those really special gifts. We all have someone in our lives that leaves us stumped when it comes to buying a gift. Luckily, Not On The High Street has inspiration nailed. Try starting at the Edits menu, which includes collections organised by fashion or seasonal trends. Or just jump straight to the Gifts menu, which allows you to browse by recipient (from grandparents to teenagers), by interest and by occasion. There's also a clever Gift Matcher tool that takes you through the process step by step. Gifts for him include a huge selection of men’s gifts, from a sock subscription to personalised cheese boards. Gifts for her range from special trinkets for a granny who has everything to diaries and notebooks for teenage scribblers. Why should the humans have all the fun? Head to notonthehighstreet.com’s Pets menu for quirky, personalised gifts for the critters in your life. Shop by animal or category, and choose from a huge range of options, including bespoke tags and collars, funky leads and harnesses, and some truly brilliant treats and toys (the kitty DJ deck has to be seen to be believed). As always, you can filter by colour and by delivery option, and even check 'eco-friendly' to make sure you're buying the greenest pet gifts you possibly can. With such a diverse range of products and producers, there are thousands of marvellous things to buy on notonthehighstreet.com. This takes some organisation, so a lot of thought has gone in to making the site user-friendly. Search by recipient, interest, item type or occasion, filter your list according to budget, features and design and get browsing. If you’re still finding it hard to pick, customer reviews are there to help. You can also filter by free delivery or express delivery. You can also rely on Not On The High Street for great customer service. If you have a question about any of the retailer's products or need to change or return your order, you can contact the seller easily via notonthehighstreet.com by clicking the 'Ask seller a question' button. If you need to contact notonthehighstreet.com directly, use the live chat with customer services, fill in an enquiry form or call the contact number. You may have said you wouldn’t get each other presents for Valentine’s Day, but we all know what that really means! Go to Not On The High Street ahead of those big calendar celebrations, from Valentines to Mother’s Day to Father’s Day to Christmas. You'll find masses of seasonal gift edits and suggestions – you can even select a filter that shows you only products that can be shipped and delivered in time for the day. For all those other occasions from birthday and anniversary gifts to wedding and confirmation presents, you can search by occasion and get something really special. Nothing is more meaningful than a personalised gift, and this is one of Not On The High Street’s true strengths. How about personalised cufflinks with a map of a significant place? Or personalised prints showing your playlist in vinyl? Or a personalised canvas of Santa’s map for a child? From birthstone necklaces to personalised placemats or make-up bags, there’s a great range of gifts to make your own. Just choose 'Personalised gifts' from under the Gifts menu to see everything that's on offer. It’s hard to choose a gift that you haven’t even imagined yet! But if you want something completely different or literally out of this world, reach for the stars as the best of Britain’s creative minds are just a click away. Let Not On The High Street inspire you and you’ll find those big statement gifts. Choose an exquisite engagement ring for that big proposal, commission a pet portrait for an animal lover, or think beyond the confines of our planet and name a star. If you really want to push the boat out, use Not On The High Street’s handy price slider to refine your search to the most luxurious, high-value items on the roster! There’s too much loveliness on Not On The High Street to give it all away! Shop for yourself too and find inspiration for your home. The home section of the site can help you declutter, decorate and accessorise all your living spaces. With funky wallpaper and unusual lighting solutions, wall stickers and decals, wall prints and art, mirrors, mugs, cushions and lampshades, every last detail is covered. Use the Home menu to find exactly what you want, selecting by room of theme. You'll also find masses of ideas for the garden, including wildlife feeders, cute birdhouses and even growing kits for fruits, vegetables and herbs. When you’re stumped for inspiration, the creative minds behind notonthehighstreet.com are there to help. Photo gifts, travel and experiences will take you well beyond the confines of ‘normal’ presents. Make the most of tools like the wishlist, wedding planner and Gift Matcher to pick exactly what they want. You can also create your own wishlist to help your friends and family buy for you. And don’t forget that greetings card! Look under the cards menu for a refreshing change from those same-old-same-old designs. There are options for birthdays, weddings, anniversaries and more – and you can even filter the choices by colour. If this is your first time shopping with Not On The High Street, find out how it all works by checking out our FAQs. 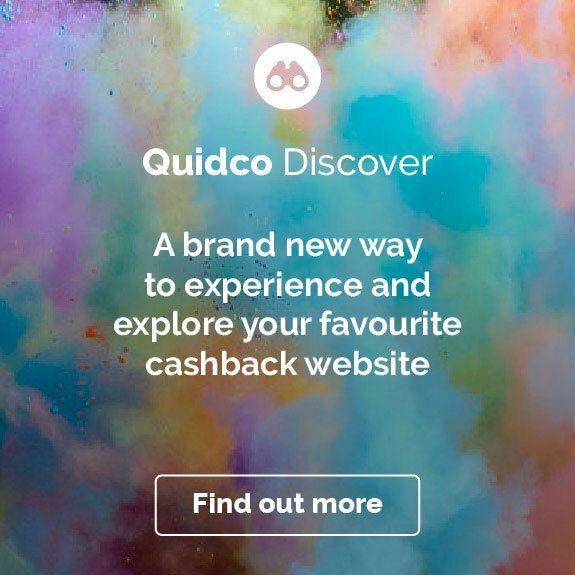 Because Not On The High Street is online, you can shop there 24/7 – and get cashback too when you shop through Quidco. Not On The High Street is a marketplace where individual businesses, called partners, sell. You can buy from as many sellers as you like through one simple safe and secure checkout. Delivery costs and timings vary according to which partner you buy from and whether or not your item is personalised. Costs and timings are clearly shown on each listing and you can filter items by ‘free delivery’ when you shop. For most products, you have 28 days to notify the seller if you want to cancel the order or exchange the item. You need to contact the seller to arrange the return and notonthehighstreet.com will process your refund. Check out the full terms and conditions on the Not On The High Street website. Yes. Not On The High Street accepts all major credit and debit cards, and its online payment processing system is endorsed with VeriSign certificates. So you can be sure your card details are always safe. The notonthehighstreet.com customer service team can be contacted by phone, live chat, post or email (via the form on the contact page). Not On The High Street also works with Feefo's review service to gather customer feedback and ensure good service. Can I buy/use notonthehighstree.com vouchers? You can buy Not On The High Street gift vouchers to be redeemed against anything sold on the website. Just select 'Gift vouchers' under the 'Shopping with us' menu. Note that gift voucher purchases might not be eligible for cashback. Check the terms and conditions before you make your purchase. Not On The High Street is an independent company based in 'Silicon upon Thames' in Twickenham, London. Can I sell through notonthehighstreet.com? Not On The High Street is always on the lookout for stylish, unique, quality products. If you source or design products yourself, you can apply to sell on the website. Find out more under the 'Selling with us' menu on the Not On The High Street website. To find out how you can make the most of your purchases at notonthehighstreet.com, check out some of the ideas below. If you’re looking for a really unique and special gift that the newlyweds will love then head straight to Not On The High Street’s website. You can browse tons of wedding gifts, such as gifts for the home, personalised gifts, food and drink gifts plus fun experiences such swing dance classes and walking tours. Shop through the links on this page for your present and you can earn cashback on your Not On The High Street wedding gift. At Not On The High Street, you can find a fantastic selection of items for the home that would make a wonderful wedding present. Pick up personalised wedding gifts, such as a cheese board and knife set, which can be engraved with their names and their wedding date. It’d be the perfect gift for them so they can share a cheeseboard and bottle of wine on those cosy nights after the big day. Or why not go for a cute porcelain “Hubby” and “Wifey” mug set? This gift would be lovely for the couple to use for their first breakfast as a married couple! Or why not go for some new bed sheets? There’s plenty of gorgeous bedding to choose from to give to the newlyweds, so they can have a really special duvet set for their home. Shop for sumptuous bed linen, whitewashed duvet covers to dusty rose coloured linen and pure cotton bedspreads. It’d make a really luxurious and special gift that they’re bound to treasure. If the couple are big foodies then you want to head straight to the food and drink section on Not On The High Street. Here you can shop for personalised bottles of prosecco, cheese-making kits, winemaking kits and much more. If you’d prefer to give the happy couple a different kind of gift, then why not check out Not On The High Street’s experiences section. Here you can find everything from blues guitar lessons, gin making and distillery tours, history of London tours and much more. So whether they have a passion for history, food, music or wine, you can find a wonderful wedding gift that they’ll never forget. Remember to shop via the links on this page so you can earn cashback on your present! If you’re planning a wedding then you can pick up wedding invitations, save the date cards, wedding planners and guest books from Not On The High Street. Find special, one of a kind and unusual wedding planners, guest books and invitations from not your average high street stores. 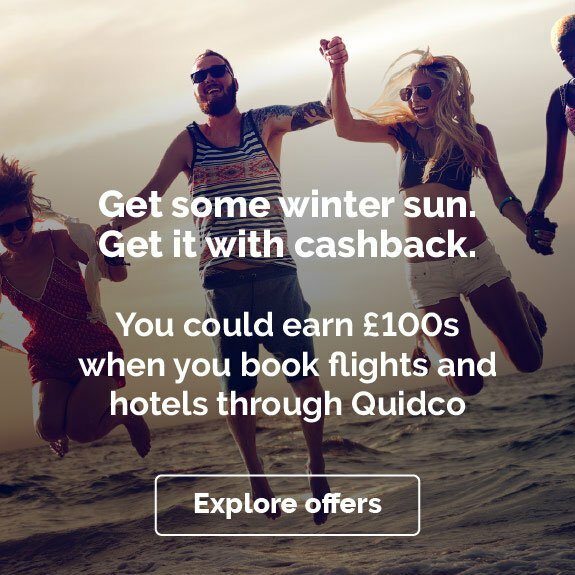 Plus you can ease the cost with some cashback that you can earn when you shop through Quidco. Check out some of the wonderful and unique wedding invitation designs that Not On The High Street has. Whether you’re after a rustic style, a cute style or a quirky style invite, you can find it all on not on the high street. Are you both fans of travelling? Then why not go for the quirky passport style wedding invitations? They’re so different to usual wedding invitations that your guests won’t forget them! If you’re a big plant lover then you can also browse tons of tropical plant and botanical style cards, from palm leaf prints to colourful floral designs. And if you’re planning on a big festival style wedding, you can buy really fun festival ticket style wedding invites that are perfect for those rock and roll brides! Let your guests write messages of love, best wishes and more with a guest book. At Not On The High Street, you can browse tons of different guest books from unique sellers across the globe. If you’re looking for something trendy, then why not go for a rose gold foil wedding guest book? It’s available for you to personalise with your names on the front, along with the date of your wedding day. Or perhaps you’re looking for something that's a bit more traditional? Go for a wedding guest book that's handmade with recycled ivory leather and decorated with ivory ribbon, which gives it a classic wedding look. With this guest book, you can add your own photos inside with space for messages from guests, so it’s a really unique guest book that will be fantastic to look back at in the future and remember your special day. Shop for all your Not On The High Street wedding bits through the links on this page so you can earn cashback. Looking for deals with other retailers like notonthehighstreet.com? Try gadget specialist I Want One of Those (aka IWOOT) or experience day seller Buyagift.com. And when it comes to cards, design something unique and personalised through Moonpig or Scribbler.